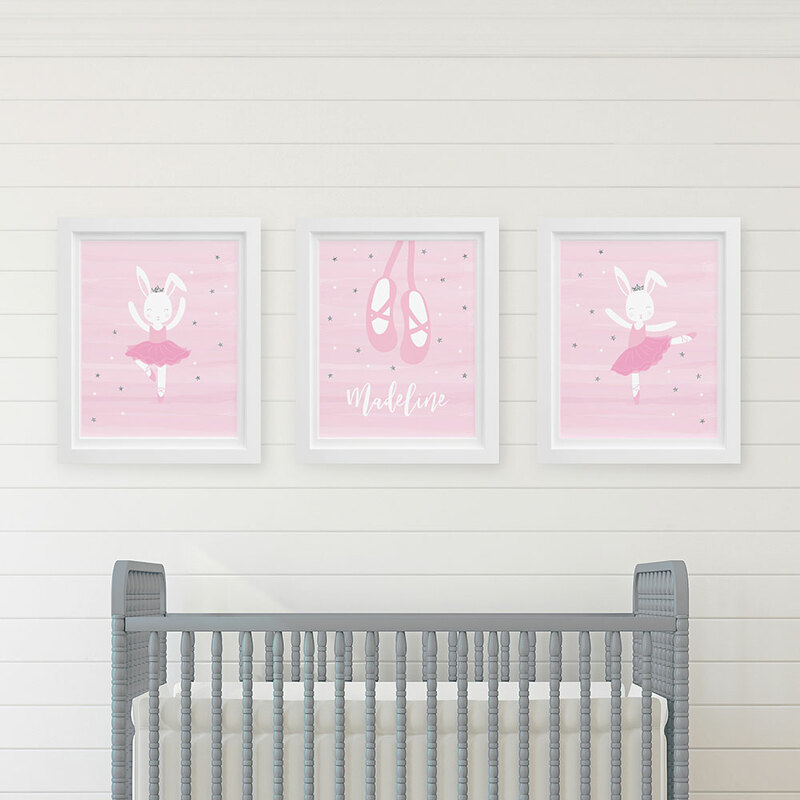 Dancing bunnies and delicate ballet slippers brighten up your little one's nursery with our Personalized Ballerina Nursery Decor Wall Art! Not just for your little baby girl, the set of 3 posters is perfect for little dancers of any age. On the center poster, your little one's name personalizes the set in whimsical white script, and the 3 posters may be arranged horizontal, vertical, diagonal, or in any arrangement you like! The ballerina gift comes packaged in a sturdy poster tube, so they're all ready for gifting! Set of 3 printed posters in light pink with blue and white stars. Two posters feature white ballet dancing rabbits, while the center poster is personalized with child's name and shows pink ballet slippers.